November 22 is an important date for top-level leaders and industry experts from around the world to gather for a one-day-only event - the Digital Leadership Conference 2018 – to network and to meet up with reputable speakers who will be sharing their success stories in leading today’s digital and VUCA world. The Digital Leadership Conference 2018 is made possible by ITD World - a global leadership development expert. ITD World was founded on an inspiring and compelling mission to transform leaders and to change the world for the better. In this year Digital Leadership Conference, ITD World offers the participants the opportunities to pick the brains of top leaders who have succeeded and thrived in today increasingly Volatile, Uncertain, Complex and Ambiguous (VUCA) World. The highlight of this event is CEO and Top Leaders Forum where CEOs from a wide range of industries share their experience in navigating through digital disruptions. At the end of CEO and Top Leader Forum, participants are encouraged to continue engaging in a highly interactive dialogue session with the speakers, and Mr Rick Yvanovich, Founder and CEO of TRG International, is honoured to be a part of this inspiring panel. Rick is a serial Entrepreneur, Techie, Brit, baby boomer, and professional bean counter (hence the FCMA CGMA FCPA). He has worked 30+ years in supermarkets, accounting profession, breweries, newsagents, defence manufacturing, IT, property development and BP, in the UK, China, Singapore, Switzerland and Vietnam. Posted to BP China as Finance Manager, then relocated to BP Vietnam in 1990 making Rick likely the longest-staying Brit in Vietnam. The diversity in experience had made him one of the reputable at the CEO and Top Leaders Forum to share his best practices and expertise in front of today's global leader. 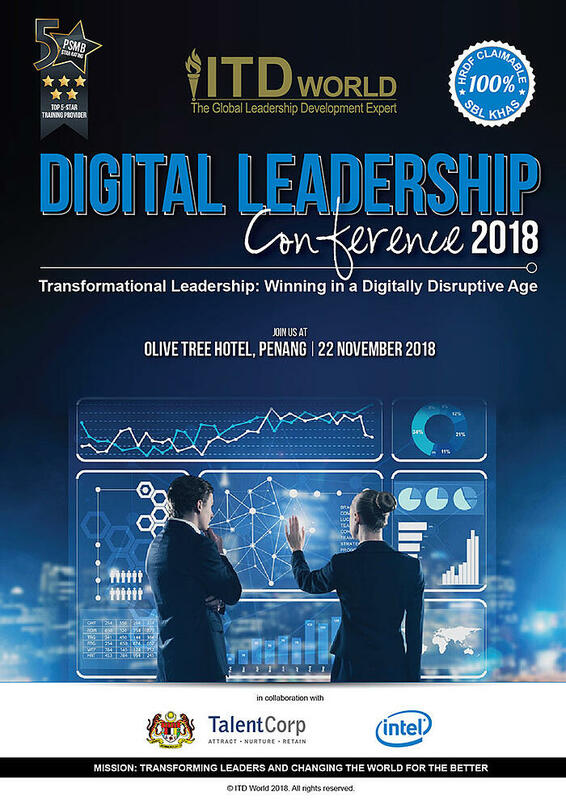 The Digital Leadership Conference 2018 will be held at Olive Tree Hotel, Penang, Malaysia. Join us to discover how to harness the power of digital leadership to achieve more with your team as well as a chance to network with key leaders in the digital industry. Visit www.itdworld.com/dlc2018 for more information. Stay updated with TRG News and upcoming events by clicking the subscribe button below.